Hallie wears many hats as a pastor, husband and father. 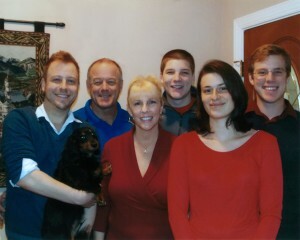 Together with his wife, Rebecca, he has three sons, Matthew, Tanner and Joshua, and one daughter in-law, Rachel. 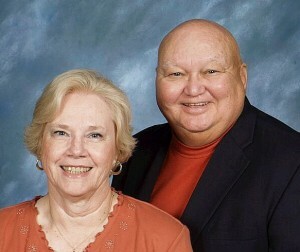 Hallie and his wife are both alumni of Warner University and served in Coral Springs, Florida before settling in the Triad. Pastor Hallie was an integral part of opening the church day school and continues to be emphatically involved. His focus as a Pastor is making a personal connection with every church-goer and building relationships with people in the Archdale community. Hallie Scott truly is the Superman of Archdale First Church! Mark is the newest member of our staff, joining us in January of 2015. He has an infectious love for young people, and is passionate in teaching them about the love of Jesus. His wife Jessica is very active in our children’s ministry. They have three daughters, Kelsey, Katlyn, and Annaleigh. 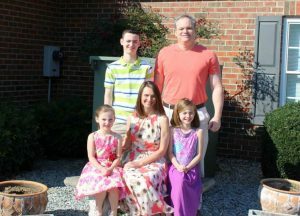 With their support, Mark has grown the church youth to be a lively and inherent part of the Archdale First Church family. Doug uses his talents as a singer and guitar player to lead worship at Archdale First Church. His desire is to bring people to the heart of active worship and to fully utilize the talents of musicians and vocalists alike. 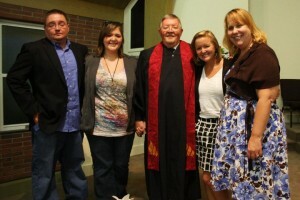 Pastor Doug is married to Lisa and father to three children, Ben, Whitney, and Laura. He is retired from the U.S. military and is very active in the Kairos Prison Ministry, bringing the gospel of Jesus Christ to the incarcerated. The hub of activity is the church office and Evelyn holds it all together! She and her husband Woody have been married for over 50 years. They have two children, Chris and Traci. Evelyn is also proud grandma to Dylan, Jackson, and Cooper. When not at the church office, you can probably find Evelyn on a ball field watching one of the grandsons play ball! Jennifer Anderson graduated from Appalachian State University in 1996 with a BSBA. She left the corporate world of accounting in 2005 to become a stay-at-home mom. She returned to part time work at Archdale First Church and serves as the finance department for the church, handling accounts receivables, payables, credit, tax, payroll, planning & analysis, budgeting and forecasting. She is a vital asset to both the church and day school. 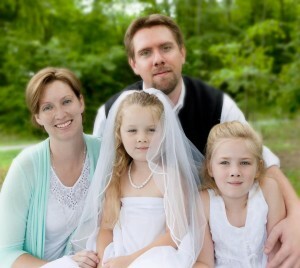 Jennifer is married to Ron and they have three very beautiful and busy children – Nathan, Emma and Avery.